The complete system is designed to automatically mix a batch of minor ingredients, to be pumped to a larger mixer downstream in the process. a bulk storage tank on loadcells. 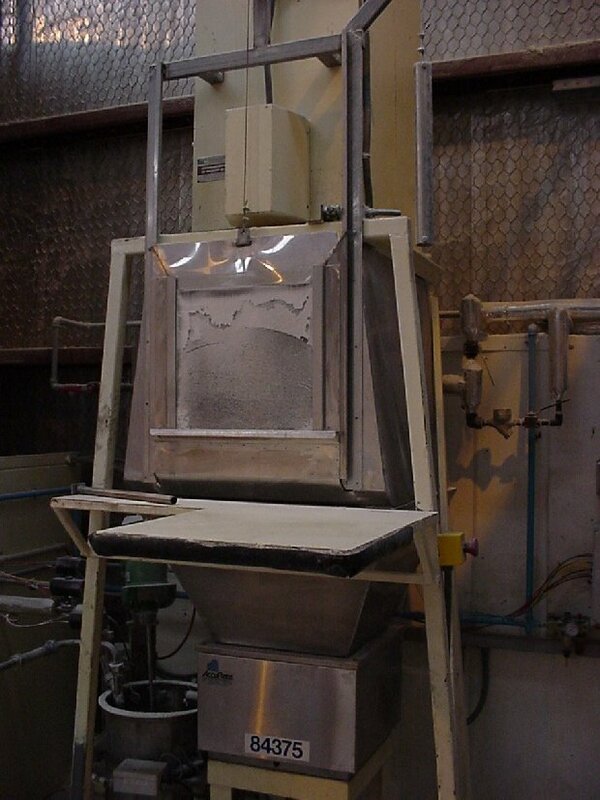 a de-bagging station with integral dust collector. 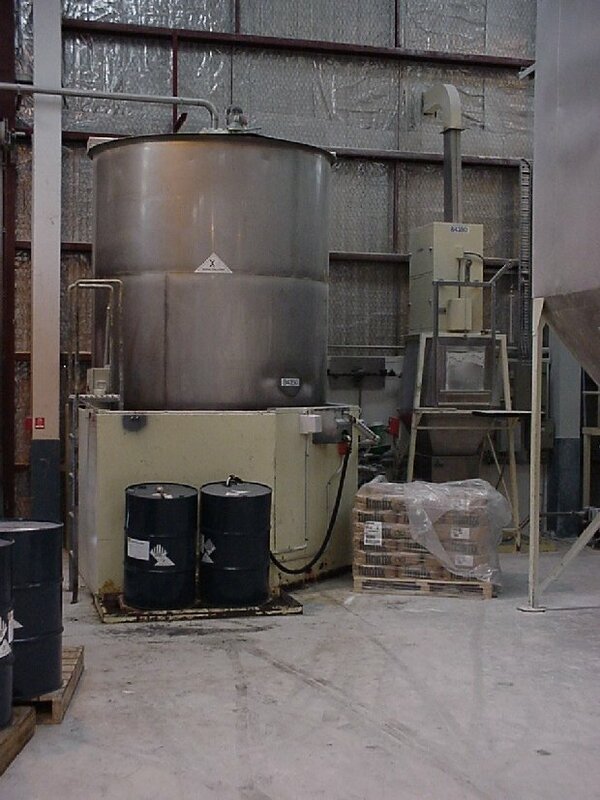 a drum pumping station, including drum heating pads as the ingredient has to be melted. 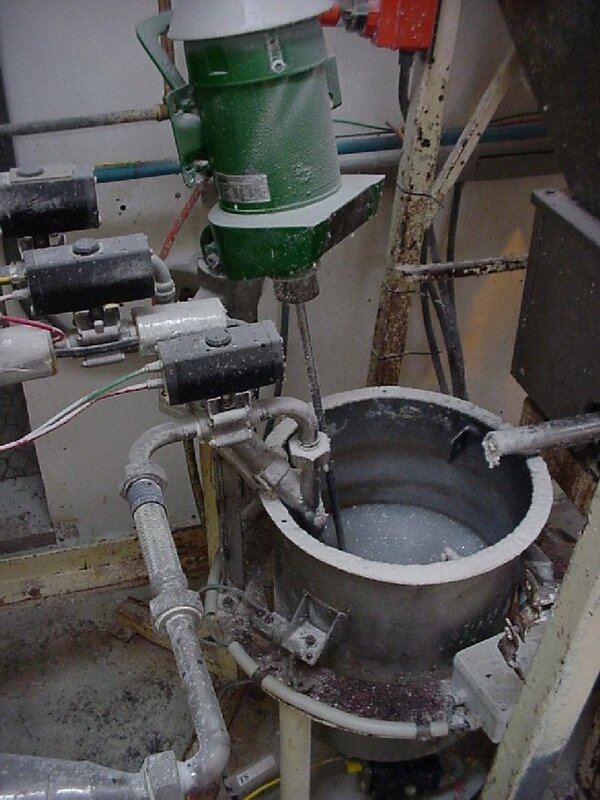 a mixing tank is on load cells.